An exercise to fit tracking collars on four elephants within the Amboseli eco system was completed in Kenya recently. The GPS collars, which transmit a satellite and radio signal, map out the elephants’ migratory routes and identify how expansively the elephants travel in search of water and vegetation. 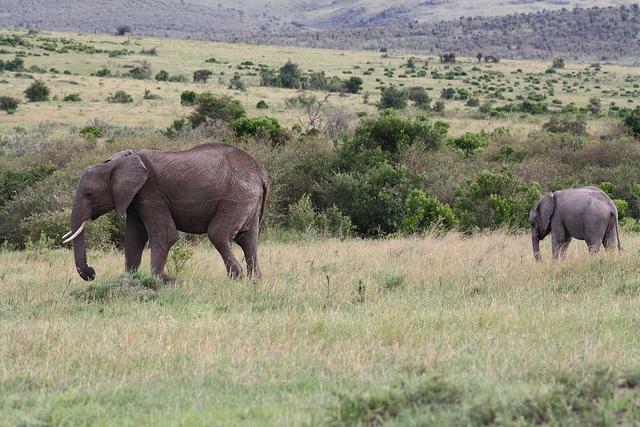 “Collaring these elephants will save the lives of both elephants and human populations in the long run,” said Steve Njumbi, head of programs at the International Fund for Animal Welfare (IFAW), East Africa. “Using science we can understand where and how the elephants in this area move about, and we can use this information to help us prioritize human-elephant conflict interventions, as well as save the migratory routes that elephants in this area have been using for millennia. More than 1,400 elephants live in the Amboseli eco system, spending 80 per cent of their time outside Amboseli National Park. The collaring has seen three females and one male fitted with the collars. With an increasing human population and land being developed for crop farming and settlements, the present migratory routes for elephants in the region have been reduced considerably. This calls for urgent measures to understand the migratory routes to develop measures to prevent human-elephant conflict. “Monitoring elephant movements in the Amboseli ecosystem is a fundamental prescription of Kenya’s national elephant conservation and management strategy and this scientific study will go a long way in generating accurate, almost real-time and up to date information that is critical for managing and conserving elephants on one hand, and enhancing local people’s livelihoods on the other,” commented Dr Charles Musyoki, head of species research programs at the Kenya Wildlife Service.